View basket “AccuMate Battery Charger with Cigarette Socket” has been added to your basket. This 4-step charger and maintainer for 6V and 12V batteries is ideal for classic cars and other seasonally used vehicles and equipment and comes with the with Cigarette Socket. Price includes special delivery to the UK. 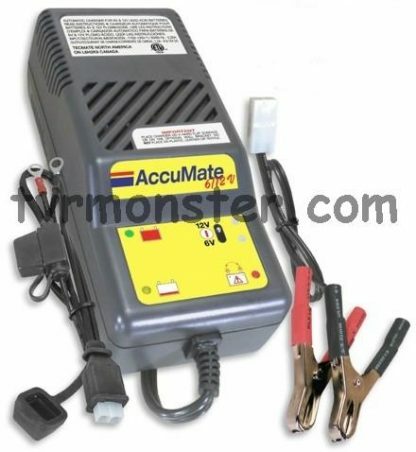 AccuMate 6-12 is a versatile, 4-step automatic charger and maintainer for all modern and classic 6V and 12V lead-acid batteries. 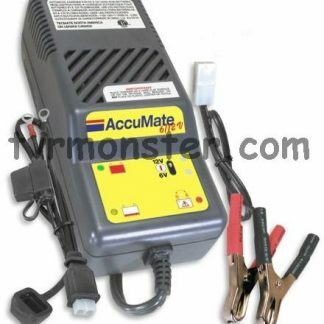 AccuMate will charge and maintain any size battery, although best suited to batteries of capacity up to about 75Ah. The constant current charge, followed by constant voltage absorption and float charging steps, is ideal for all types of rechargeable lead-acid batteries. Ideal for long-term maintenance of batteries of irregularly or seasonally used vehicles and appliances; especially specialist, classic, veteran and collectors’ vehicles. Perfect for all types of rechargeable lead-acid batteries: filler cap types; absorbed acid “MF” for motorcycles; valve regulated (VRLA); and GEL-electrolyte types. 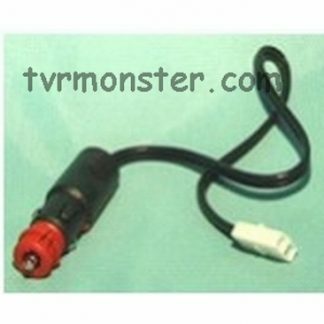 UK 3 PIN PLUG TO BS5733, BS1363 Very easy to use – Select 6V or 12V charging output according to battery type and then connect to battery and mains power – the rest is fully automatic. Comprehensive and intelligent LED indications – AC power on; battery voltage selection; wrong polarity connection; charging; and maintain (charge completed). No risk of overcharging – Safe and foolproof – No worries about wrong connections, accidentally shorting the battery clamps or blowing fuses – automatic protection even suppresses sparks. Compact, yet powerful Charging time equal to a 3 Amp conventional charger despite the compact size. No risk of overheating – Automatic temperature control Advanced 4-step charging program – 6V values in brackets. Supplied with two interchangeable connection sets CE Certification; 2-year warranty.